The back is flat so it hangs perfectly against walls and doors and a message can be embroidered on the back. 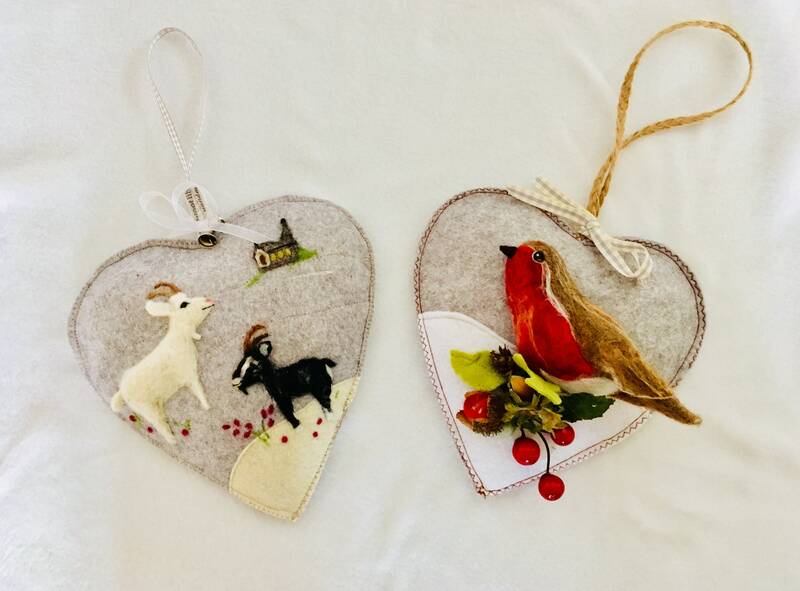 Squirrel is needle felted by hand with 100% wool from South West England and the isles of Shetland. 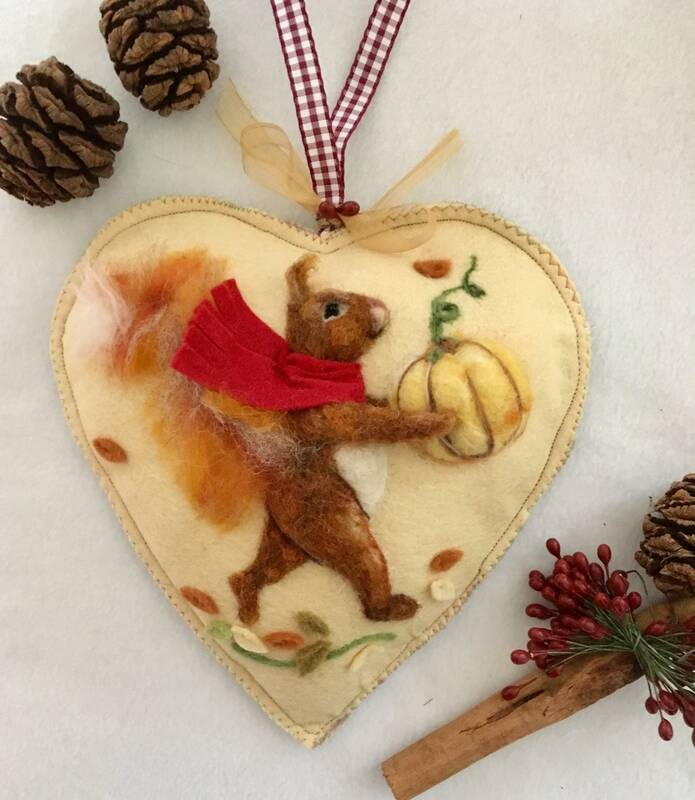 This Squirrel can be dressed for Summer or Winter and can be carrying anything appropriate to a season if so desired.